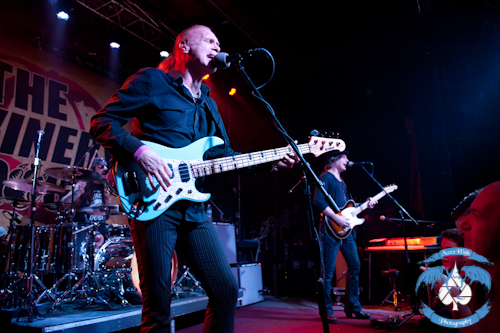 THE WINERY DOGS Live in Cleveland, OH With Photos! Recently the music scene in Cleveland was dealt a blow when the quintessential dive bar, Peabody’s Concert Club, shut it’s doors for good. Since then many of the club tours have been moved to the Cleveland Agora Ballroom – a club-sized stage across the hall from the larger theater. Once I caught wind of THE WINERY DOGS setting a tour date there, I knew I had to attend. After touring with THE WINERY DOGS across Europe, THE SIXXIS joined them on their U.S. tour. Musically, THE SIXXIS are sort of like OPETH meets DREAM THEATER. Their performance was full of all of the nuances, solos, time changes, and breakdowns that you’d expect from the best progressive rock and metal groups. THE SIXXIS initially formed in 2006 in Atlanta as a collaboration of skilled musicians, but it quickly became the focus of their efforts. Their set was full of energy and talent and the crowd quickly got into it. Any fan of progressive music could really appreciate THE SIXXIS. After a quick set change THE WINERY DOGS took the stage to the intro of the theme from Sons of Anarchy. They quickly shook things up with their first single “Elevate”. Bassist-extraordinaire, Billy Sheehan was an absolute monster. He commanded the crowd’s attention with his effortless, yet intricate playing. Richie Kotzen’s voice could be paired with any style of music, I’m convinced. He has an almost soothing and delicate voice that compliments the classic rock feel of THE WINERY DOGS. Richie’s guitar play is equally as impressive. And then there’s Mike Portnoy. Seriously…the list of bands that Mike is NOT a part of is shorter than the list of bands that he is a part of. Mike Portnoy harnessed the attention of the audience from behind a rather small (by Mike’s standards) drum kit. He frequently stood up while playing, motioned towards individuals in the crowd, and spun/threw his sticks – all part of the usually Portnoy repertoire. The entire stage just oozed with talent and musicianship the entire night. I have to say that getting to see these three musicians that are considered the gold standard at their craft, all on such a small stage – up close and personal, was something I will never forget and something I will probably never get the opportunity to witness again. 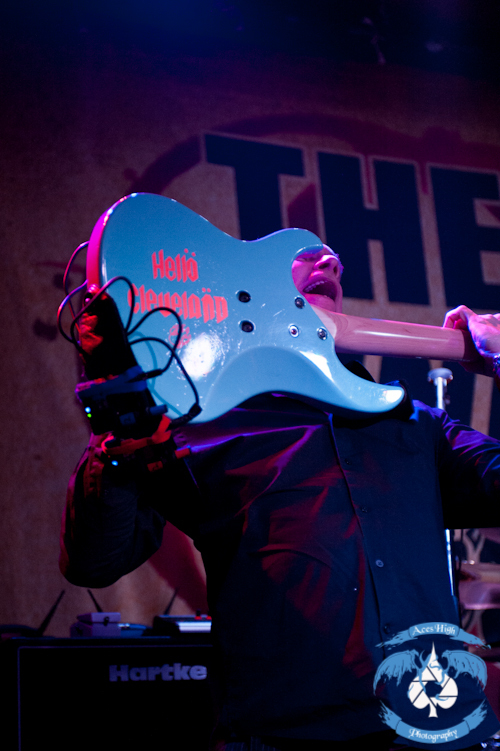 Billy Sheehan’s bass solo was off the charts. He did things with a bass that I did not know could be done. The crowd was just entranced with what seemed to be his endless fury. Besides covering their entire album, THE WINERY DOGS also threw in a cover of TALAS’s “Shy Boy”, and Richie Kotzen also performed some of his solo material including “Doin’ What the Devil Says to Do”, and “You Can’t Save Me”. It was a fantastic night of rock n roll. I was extremely pleased to see that THE WINERY DOGS - a rather new band of established players, was able to draw a sizeable crowd that filled the entire floor and spilled out the doors into the hallway at the Cleveland Agora. To me they are not just another supergroup, but a genuine band that has their own vibe; their own feel to them. They were not there to just go through the motions; they were there to express their love for good live music. Afterwards Billy Sheehan mingled with fans and signed autographs.